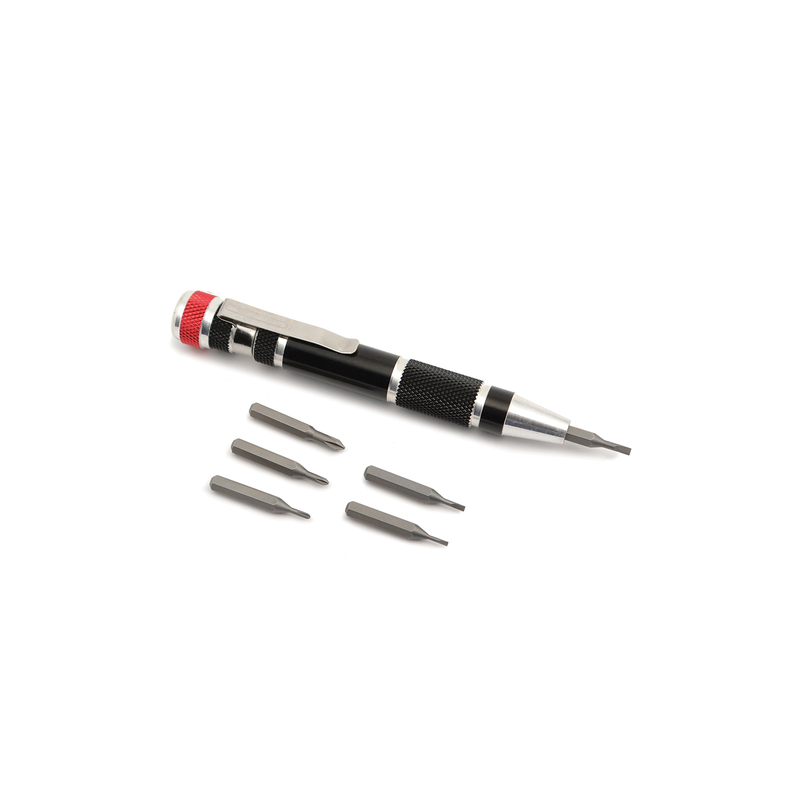 6 Micro-bits store conveniently in the aluminum handle of this pen-sized tool. Includes magnetic bit holder with 4 mm hex drive and handy pocket clip. Bits are precision machined from special chrome-vanadium-molybdenum tool steel. Wiha makes the best bits in the world! Slotted bits: 1.2, 1.5, 2.0 mm; Phillips: 000, 00, 0.